Genetic consequences of programmed genome rearrangement. Title Genetic consequences of programmed genome rearrangement. The lamprey (Petromyzon marinus) undergoes developmentally programmed genome rearrangements that mediate deletion of∼20% of germline DNA from somatic cells during early embryogenesis. This genomic differentiation of germline and soma is intriguing, because the germline plays a unique biological role wherein it must possess the ability to undergo meiotic recombination and the capacity to differentiate into every cell type. These evolutionarily indispensable functions set the germline at odds with somatic tissues, because factors that promote recombination and pluripotency can potentially disrupt genome integrity or specification of cell fate when misexpressed in somatic cell lineages (e.g., in oncogenesis). 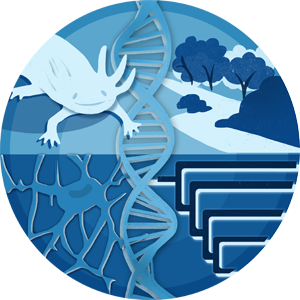 Here, we describe the development of new genomic and transcriptomic resources for lamprey and use these to identify hundreds of genes that are targeted for programmed deletion from somatic cell lineages. Transcriptome sequencing and targeted validation studies further confirm that somatically deleted genes function both in adult (meiotic) germline and in the development of primordial germ cells during embryogenesis. Inferred functional information from deleted regions indicates that developmentally programmed rearrangement serves as a (perhaps ancient) biological strategy to ensure segregation of pluripotency functions to the germline, effectively eliminating the potential for somatic misexpression.